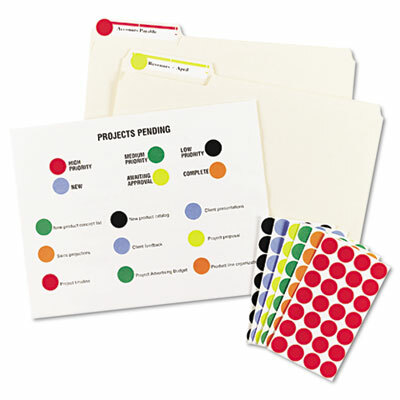 Ideal for organizing with color. Labels stick well, remove easily, and leave no residue. Convenient size sheets for handwriting or printing labels. Label Size - text 1 1/4" dia.